The Employment Standards Act, 2000 (the ESA) governs provincially regulated employees in Ontario. The ESA covers specific rights employees have, including those upon termination such as notice (working notice or pay in lieu of notice) and severance pay. Independent contractors are not protected in the same manner under the ESA; namely, they are not entitled to notice of termination. However, whether considered an employee or an independent contractor, if your contract specifies a fixed term for employment, you could be entitled to compensation upon termination. This was precisely the case in the recent decision of Mohamed v. Information Systems Architects Inc., 2017 ONSC 5708 (CanLII) where a contractor was found to be owed the remainder of his contract by Justice Perell of the Ontario Superior Court notwithstanding an attempt to contract out of notice by the other side. I.ISA, at their sole discretion, determines the Consultant’s work quality to be sub-standard. II.ISA’s project with Customer gets cancelled, experiences reduced or altered scope and/or timeline. III.ISA determines that it is in ISA’s best interest to replace the Consultant for any reason. IV.Immediately, upon written notice from ISA, for any breach of this Agreement by the Consultant. On November 4, 2015, the Plaintiff submitted a security disclosure form to the Defendant, where he once again, disclosed his criminal record. On November 5, 2015, the Plaintiff began to perform services for Canadian Tire. Around this same time, Canadian Tire retained the Defendant for another project, which was also offered to the Plaintiff. The Plaintiff was required to sign a second Independent Consulting Agreement with the same termination provision, but with a fixed end date of May 31, 2016. The Plaintiff began full time work for Canadian Tire on December 1, 2015 and the results of his security check arrived and were forwarded to Canadian Tire on December 4, 2015. On December 5, 2015, Canadian Tire directed the Defendant to replace the Plaintiff. Although the Plaintiff sought a pardon for his criminal record, the Defendant terminated his contract relying on paragraph III of the termination provision. 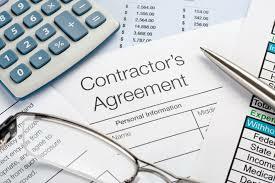 The Plaintiff sued for breach of contract and wrongful dismissal and sought damages for the balance of his contract. The Plaintiff argued that he gave no cause for the Defendant to terminate the agreement, that the termination provision was invalid and unenforceable, and that as a result of the Defendant’s breach of contract, he was entitled to damages equivalent to the balance of his contract, i.e. payment for the remaining six months. The Defendant argued that it terminated the agreement in accordance with the contract, and in the alternative, if damages were owing, that the Plaintiff had mitigated his damages by earning alternative employment income. The Judge agreed with the Plaintiff’s argument that the termination provision was unenforceable due to vagueness. Upon its literal reading, it appeared the Defendant had an unfettered right to terminate the contract. However, when applying the doctrine and obligation of good faith in the performance of contracts, including the Plaintiff’s understanding that the contract would not be terminated for a frivolous reason, the Judge held the Defendant was mistaken in its thinking, and had breached the agreement by terminating the contract. A further analysis of the termination provision also demonstrated that it was illogical and inconsistent (requiring notice to terminate if the Plaintiff breached the contract, but not if the Plaintiff completed sub-standard work, which is also a breach of the agreement). Had the contract been carried out, the Plaintiff would have earned income for another six months. He was therefore awarded damages for that time, in the amount of $81,937.50. Even if your employment is classified as an independent contractor, you may still be entitled to compensation if your contract is terminated. Since no two circumstances are exactly alike, it is best to speak to an employment law professional to better understand your rights. If your independent contractor agreement has been terminated, or you would like to know more about your entitlements, call Monkhouse Law today for a free 30-minute phone consultation.